Berry Castle in Cornwall, England. Very little is known about this early prehistoric hill fort. The fort has outwork and an outlying stone hut circle.There is evidence of nine stone hut circles in and around the site in total. Most of the features have been eroded with time. Significant evidence of later granite and tin prospecting which further eroded the features. Summary: Roughly rectangular possible hillslope enclosure with annexe and outwork and outlying stone hut circle sited on S-facing boulder strewn slopes close to summit of prominent Berry Down. Measures c. 110m long by 82m wide enclosing 2ha. The site utilises a natural scarp on S to form a double rampart. Main rampart of stone and earth to 1.5m high incorporating rock outcrops and utilising natural rocky scarp to S, but no ditch. Site possibly unfinished in part. 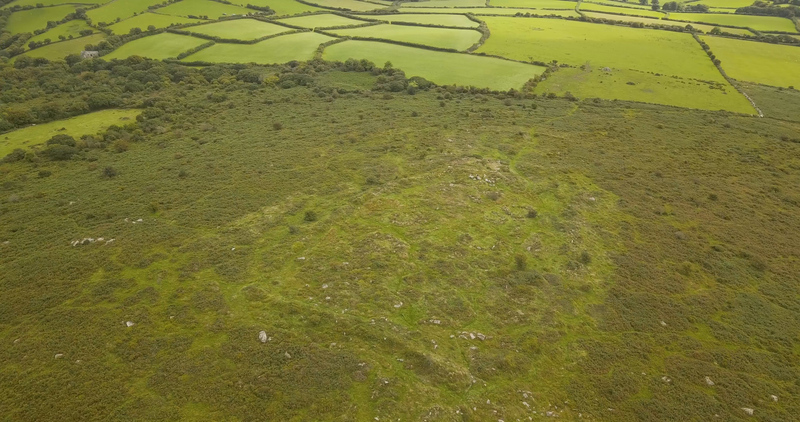 To SE not particularly strong curving outwork forms an annexe to 0.5ha and defined by bank to 1m high with slight outer ditch and enclosing rough boulder strewn slope, and attached to hillfort at E end running into boulders and apparently terminating to W; again possibly incomplete. Hollow way leads from inturned inner bank entrance, cutting inturned outer rampart to form original passage on SE. Nine stone hut circles or possible granite cairns, measuring c. 8m to 14m diameter, with one outside to N on summit of hill. Most have entrances on SE, and all with roughly laid out boulders with few orthostats. Between the ramparts small natural platform used for commemorative bonfires exposed revealing flooring of small stones with quantity of 13th-14th century pottery sherds. Much surface quarrying for granite and tin prospecting over all site. Two or three tumuli on S side. Possible Neolithic Tor enclosure suggested by Oswald et al (2001), however, also considered prehistoric hillslope enclosure and settlement. Nearest field systems at foot of hill. 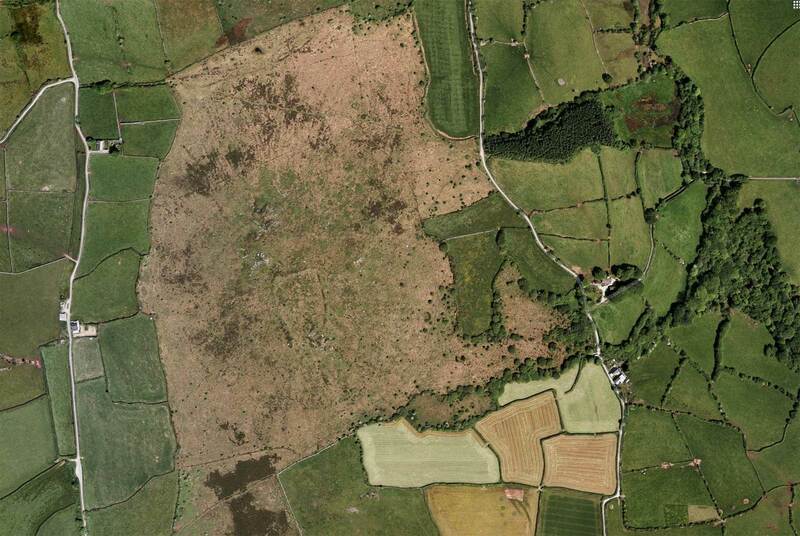 Moorland site much affected by quarrying and prospecting, but general fair condition. On 1st Ed. OS map (1882). Undated.